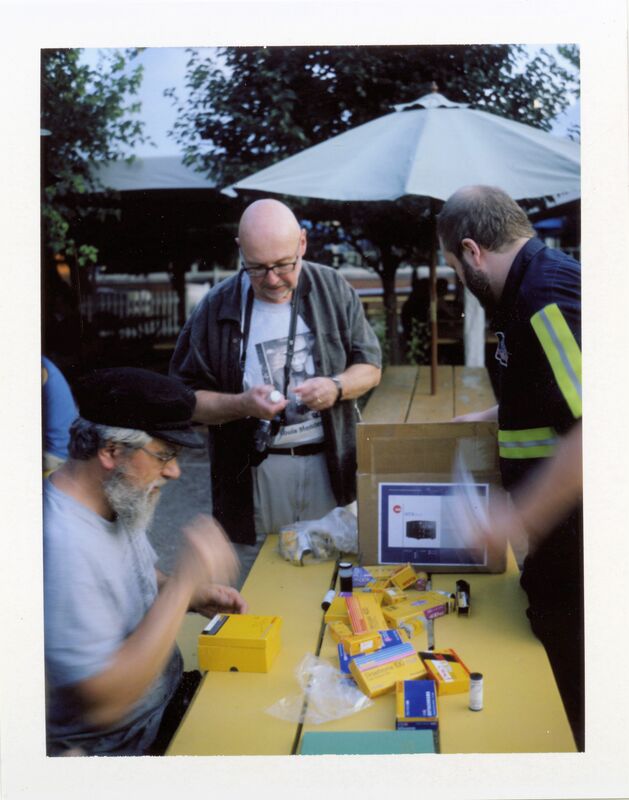 At Tuesday’s A3C3 meeting, we were treated to a donation of film from John Campbell, a local photographer that has gone completely digital. Bill Bresler opened the box, and a cornucopia of film fell out – 4×5, 35mm, and 120. That’s the beauty of attending an A3C3 meeting — you never know what goodies you’ll come with, or who you will meet. 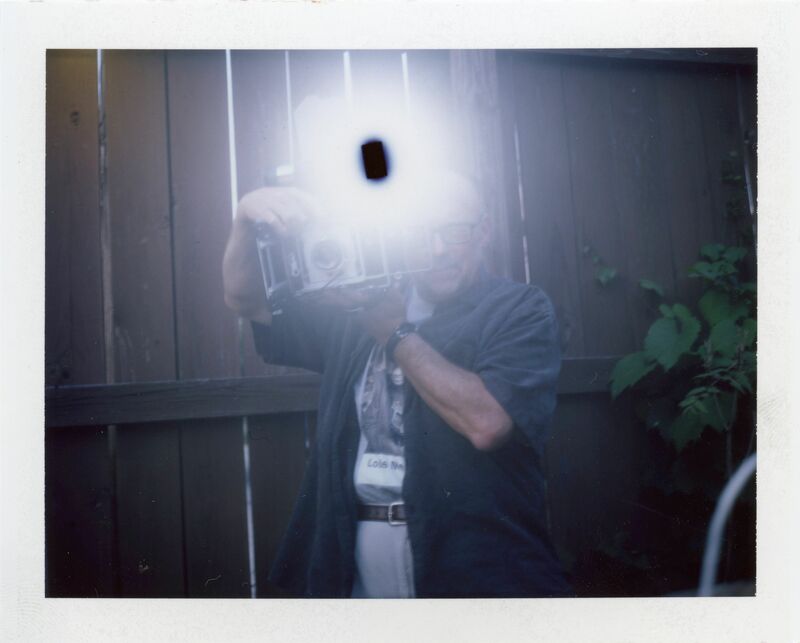 Bill got out his 4×5 Crown Graphic and shot some photos on Polaroid 4×5 sheets. I just happened to have the shutter open on my Polaroid 350 when Bill’s flash went off. The resulting image above features something I have never seen before on a Polaroid, and never before with a flash. It’s an example of overexposure solarization, and we most often see it associated with images of the sun. In this instance, everything came together at the right fraction of a second for a unique image.